Ashley Ward had always been an independent, hard-working go-getter. When she finally stepped away from the wreckage of her two-year relationship, she realized she had temporarily lost many of the strong assets that made her whole. As she began to rebuild her life, rediscovering her interests and attributes, she refused to let the baggage she carried define her; rather, she used her experiences to find her purpose and create a life she’s proud of. With a solid work ethic and unstoppable drive, Ward knew she had what it took to become an entrepreneur. She sought a way to mesh her years of experience and passion for recruiting with her urge to give back to Safe Haven Ministries – The organization that helped rescue her from a toxic relationship. 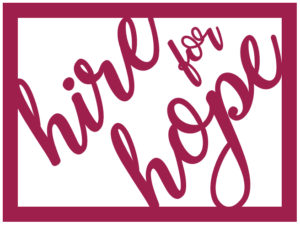 After months of brainstorming, Ward created Hire for Hope, a third-party recruiting firm that focuses on sales and operations in West Michigan. The organization, which officially launched in February, donates 10 percent of its revenue to Safe Haven. Throughout Ward’s recruiting career, she gathered a strong network of professional individuals to help mentor her into taking the first steps to start her own company. It was through this support system that Hire For Hope was born. In an effort to help those who have similar experiences to her own, Ward has gotten involved in various speaking events and fundraisers facilitated by Safe Haven. By reaching out and sharing her inspiring story, Ward hopes to empower those facing domestic violence to break free. Find the full article and inspiring story here!